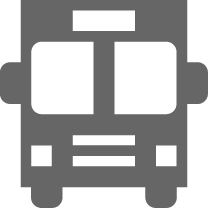 Note that this tour involves some walking over uneven terrain and off-road driving in a four-wheel drive vehicle; these may not be suitable for all travellers. Please enquire for more details. Showcasing Oman’s key natural sights and imposing forts, this full tour offers you the opportunity to enjoy the oases, deserts, mountains and canyons alongside its historic forts and villages. 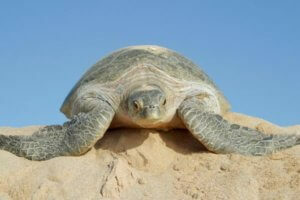 You travel along the coast to visit the beach where green turtles come ashore to nest, before heading south into the sand sea of the Wahiba Sands. 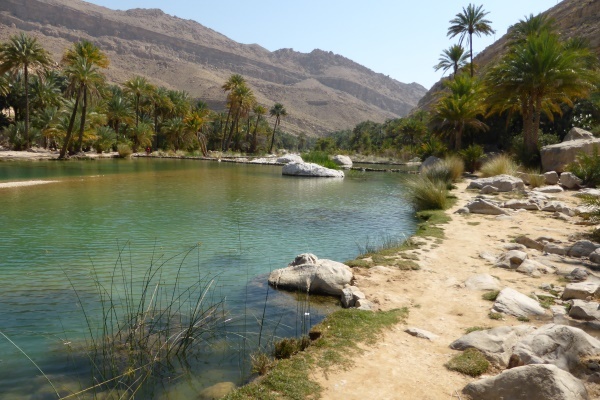 You can swim in the clear waters of the Wadi Bani Khalid oasis and explore the forts and mud-brick villages around the ancient town of Nizwa, set against a spectacular mountain backdrop where canyons and beautiful vistas abound. Arrive in Muscat after your overnight flight from London and transfer to your beach hotel which will be your base for two nights. 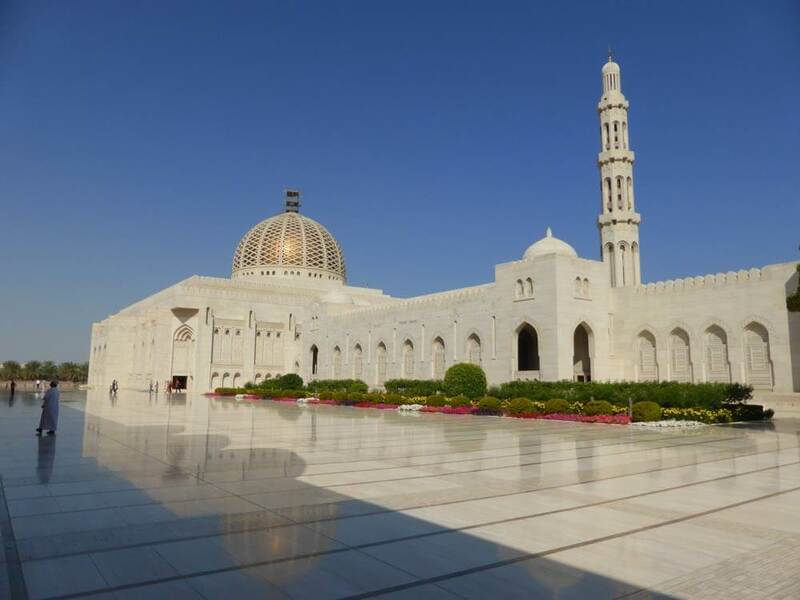 Start your day with a morning tour of Muscat and a visit to the ornate Sultan Qaboos Grand Mosque, one of the largest mosques in Arabia. After a visit to the beautiful marble opera house, you then drive to the port area of Muttrah, to visit the old souq where you can bargain for Omani silver, frankincense, shawls, and other local souvenirs. 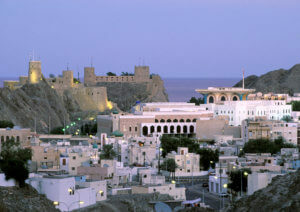 Your tour continues in old Muscat where two Portuguese forts guard the entrance to the bay. The morning is rounded off by a visit to Bait al Zubair Museum, which houses a fascinating collection of historical and cultural artefacts which give you a good overview of the country, its history and its people. Rest of the day at leisure. Today you set out for a drive along the coast, via the fishing port of Quriyat and the azure waters of the Bimah sinkhole. Stopping first at Wadi Sha’b, you then drive into the oasis of Wadi Tiwi for a picnic lunch (included) under the date palms. Your afternoon drive takes you through the coastal village of Sur before arriving at the Carapace turtle centre at Ras al Jinz where you join a small group on the beach to any turtles as they come ashore to lay their eggs. After breakfast at the lodge, you travel back to Sur to visit one of the last remaining genuine dhow-building yards where centuries old traditions of building these beautiful wooden boats are still employed today. Your journey continues in to the desert as you approach the magnificent Wahiba Sands. 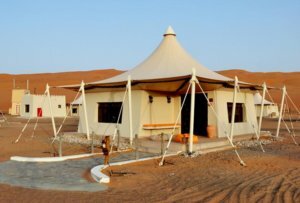 You can visit a genuine Bedouin home where you will be welcomed with Omani coffee and dates before heading to your camp for a 2-night stay. Enjoy the desert sunset from atop a dune before dinner at the camp. A quieter day today to enjoy the “sand sea” of the Omani desert and take a drive to the refreshing oasis at Wadi Bani Khalid. 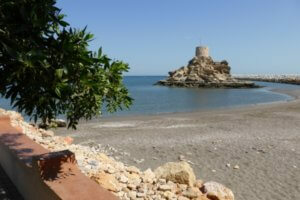 Here you can swim in the clear waters of the wadi and enjoy lunch in a café overlooking the palms. Return to your camp for an optional camel trek, some exhilarating dune-bashing and your overnight stay. 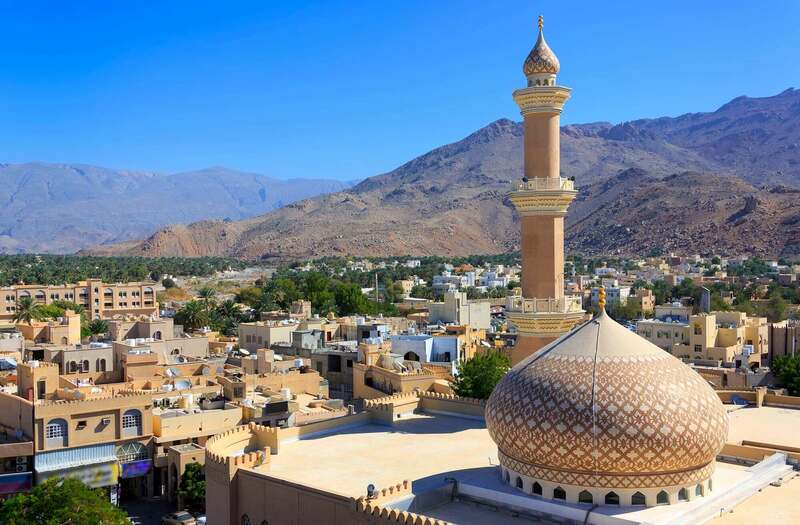 Leaving the dunes behind, you travel to the ancient city of Nizwa, stopping briefly to explore the market in Sanaw and to admire the beehive tombs built around 3000BC which are perched along the mountain ridges. Your entry into the area, known by the Omanis as the Interior, is marked by high mountains and mud-brick villages, such as Birkat al Mawz which you can view from a stopping point en route. 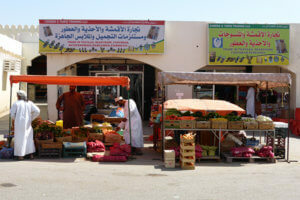 Rest of the afternoon at leisure at your hotel in Nizwa where you will stay for two nights. A day of forts and mountains is begun with a drive to Jabrin to explore one of the best-preserved castles of the region. Home to the Sultan in the 1700s, it has been painstakingly restored and the guided visit will transport you back to the 18th century. A view of Bahla fort with its mountain backdrop and 7-mile long walls can be appreciated, before a visit to a family potters where the famous local earthenware is still made using the same tools as in centuries gone by. Your day also takes in a walk around the old mud-brick village of Misfah, perched on the side of the mountain where narrow streets run alongside the famous ancient water channels, know as falaj. En route into the mountains, you will have the opportunity also to stroll around Al Hamra, another ancient mud-brick village with brightly-painted doors set amongst an oasis of palms. 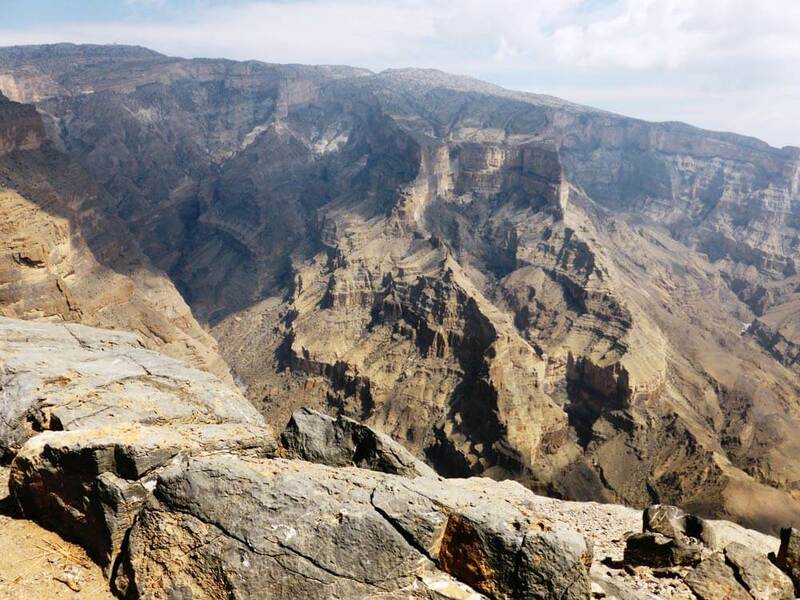 Winding upwards into the rocky mountains, your road eventually comes to an end at the spectacular Wadi Ghul, Oman’s kilometre deep “Grand Canyon” where the wadi way below you can just be made out from one of the dizzying canyon-side viewing points. 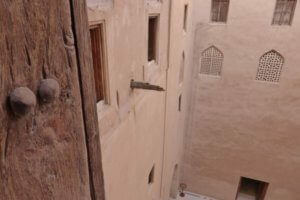 Back then to your hotel in Nizwa for the night. An early start to catch the fascinating goat market in Nizwa (Fridays only) where you will be transported back in time as you witness the traditional sale of livestock brought in from all over the country for the Friday market. You will have time to explore the numerous souqs selling Omani wares such as silver, pots, dates and daggers before spending time in Nizwa’s 17th century fort and castle, the largest in the Arabian Peninsula. 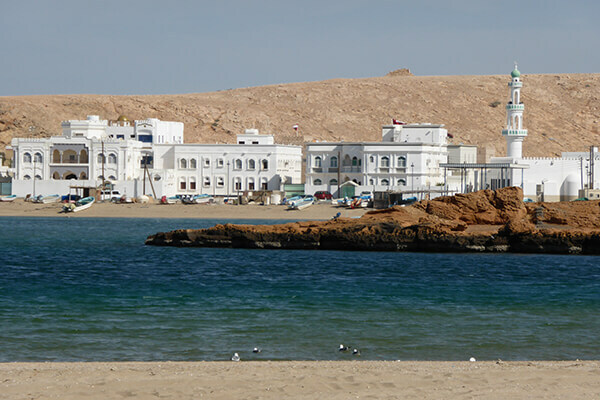 You then head back to the coast and are transferred to your beach hotel in Muscat for an afternoon at leisure and an overnight stay.  Transfer to the airport for your flight home, or enjoy the optional extension of a few days in your beach resort, or a trip to the beautiful Dhofar region around Salalah.